These stunning earrings are real head-turners. Think how striking these will look with you autumn outfits. 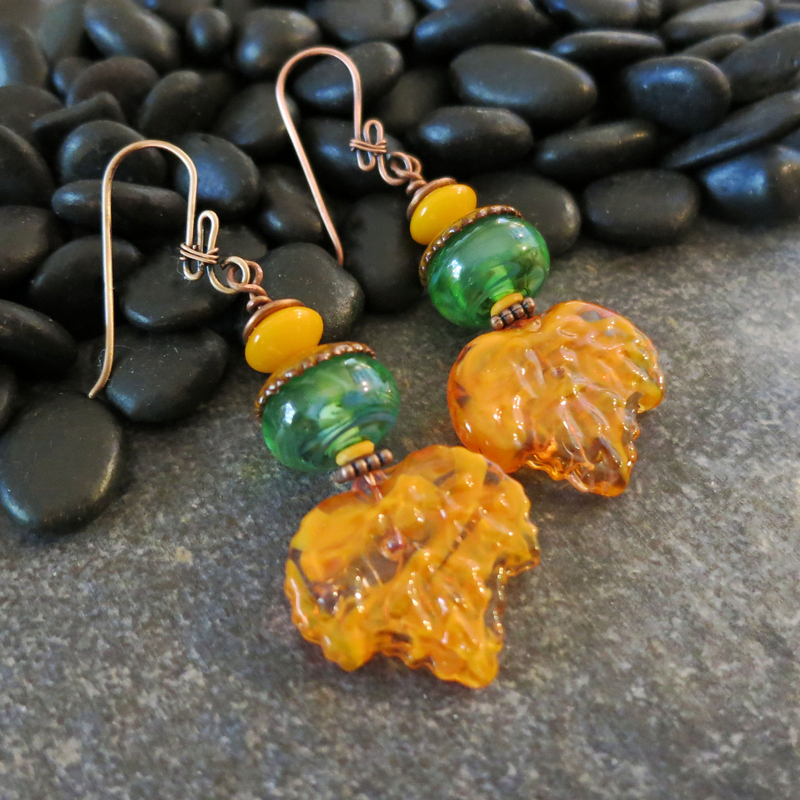 The orange handmade lampwork glass leaves are wonderfully textured and almost luminous. They remind me of how our maple leaves look in the fall when backlit by the sun. 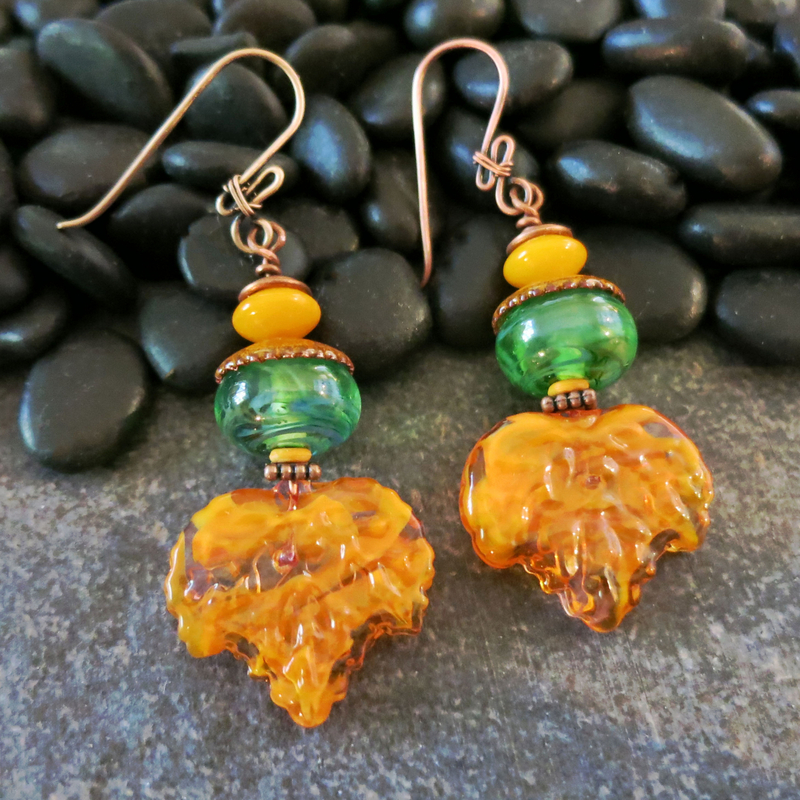 The green beads topping the leaves are also handmade glass and they are crowned with orange hand enameled bead caps. Even the fancy ear wires are handmade. These one of a kind earrings will be your favorite fall earrings. See last photo for earring size.